A playful takeoff on a classic design. Can be worn anywhere anytime, dressed up or down and the leverbacks makes them easy to wear and hard to lose! 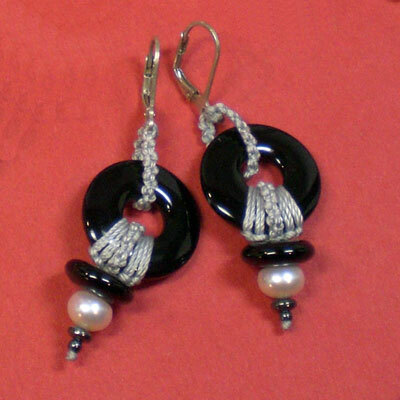 20mm black onyx donut with freshwater pearls.